yoooooooo. this track is great. And I thought the first cut was killer! I always anticipate Radio Ravioli with relish! It's been a minute but I haven't forgotten how good this Sky Ferreira song is. Lovely to hear right now! this is my favorite transition during weekdays. Hi Raviolios. 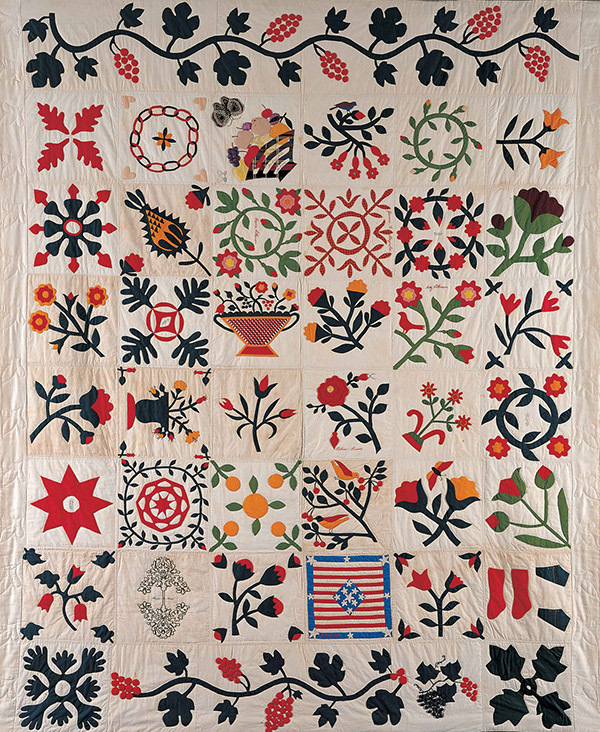 I like quilts. Waiting for the bus to New Jersey, Baltimore is slushy today. Night Time, My Time is a masterpiece and i hope to find an LP someday. is it hard to find on lp lukavino? olivia, it got three US pressings in 2013-14. one color, one pic disc, one plain. and it goes for a decent amount of money. being on Columbia, i cant imagine they made a ton. the risque cover probably adds a bit to the price, tbh. @shere YES. holler from Chicago today. Hi Olivia . Like Clay Pigeon does the Hazmat Report with station manager Ken, I think you should do the "Has Matt" report, since you do have Matt (in your life) heh,heh. yeah. she had a real creepy piece written about her not too far back. it's all a massive drag. i think she's brilliant. Hi Olivia. Up from my sick bed nap for a bit. // Exploitation in the music biz, really? hee. @Kudubundu: “Ravioli with relish!” That sounds nasty. At the end of the day the healthiest way to look at the unhealthy aspects of the entertainment business is to just look at it all as a carnival show. You’ll be in the spotlight even if you don’t and you will be judged by nonsense no matter what. It’s why fame is a killer. Is the pledge down for everyone else, or is it just me? @Michael98145: Seems like pledge.wfmu.org is dead. No ping responses. Nada. @chresti - you gonna share those tamales? TDK60- Healing raviolis to you! ravioli house Pacific Ave Garfield NJ..revel in raviol!!!!! what a cool quilt, ms. ravioli. Thanks! Yes, we know and the team is on it. There's a problem in the data center where it's hosted. @Tom You realize WFMU will happily take your money year round… As long as the pledge server is working. If you want to hear great slide from Muddy, try Fathers & Sons. I’m so glad I called off with bruised ribs so I can have kitchen time at home with r. ravioli! Wow. It's completely impossible to hear Sleepwalk without thinking of Vin Scelsa's show (and feeling a pang because it's over). Jeff, fellow Scelsa fan. Heard Amy Winehouse on that show before her record was released, I was hooked. @chresti - thanks! I love me some tamales. omg good idea ken from HP! If not the largest single raviolo, then maybe largest radio station logo made up of ravioli? What an awesome set! I love Dolphins Into The Future! My mantra: "I love olives in my ravioli." attented haley Foor's show last year. A frind of mine interviews her. She was really impressive performing solo as support for Juana Molina. ahhh.. i see, my comp auto corrected me, and the eye didn't notice! @Tim: I finished Jenny Hval's "Paradise Rot" on the 5 train coming into work today. It was as good as you reported, and totally different from some of the capsule reviews I saw online. @Devin: That was crushingly brilliant, wasn't it? Totally @PRB. That whole record floors me. And the one before it. Her voice is astounding. ahh hthanks passaic river blues! i gotta buy that i'll do it after the show. Oh BOY do I LOVE THIS SONG! Her live concert at the Harlem Festival in '69 is amazing as well! This would be Nina Simone's 86th birthday. Olivia @1:55: No apology necessary! We like being in WFMU's sub-basement. It has a speakeasy vibe. Tell the person at the door Sheena sent you. RIP Peter Tork. Yup I'm old enough to have watched The Monkees. "Peter Piper's pet pig, porky loved pie ..."
Yes, indeed I remember Peter Tork. @βrian: That's the first thing I googled after hearing the news. Loving the drums on this. OMG, Ursula K. Le Guin! One of my heroes. Hi Olivia, thank you for a wonderful show today in case I am unable to post later. I am feeding the snakes and boy can they be demanding! ..awake again. Missed Leguin & Barton again; gonna hafta get that album. Sphere: me too. steveo: the voice sounds similar to Nick Cave. Wow, I though it was Cale! Cale & Cave sounds good too. Michael: Thanks! Seems like I'm over a 2-day hump. This is the first ESG track I ever heard. Oh no, here comes the Giant Man intro. That gives me the quakes. Olivia I had tortellini for lunch today, and I feel guilty. Thanks for another fantastic show, Olivia!